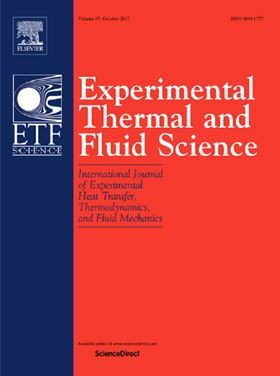 The research article 'Experimental investigation of oil drops behavior in dispersed oil-water two-phase flow within a centrifugal pump impeller' has been published in Elsevier journal Experimental Thermal and Fluid Science (Volume 105, July 2019, Pages 11-26). In oil production, one important artificial lift method involves the commonly used centrifugal pump. The use of this pump in the petroleum industry, however, is hindered by some unfavorable operational conditions. Operating centrifugal pumps with gas and viscous fluids, such as dispersions, may lead to a degradation of their performance. The objective of this paper is to analyze oil-water dispersions in a pump impeller, in order to investigate the behavior of oil drops, which may influence the pump working. Thus, experiments were carried out at different pump rotation speeds and water flow rates. Researchers used a facility with a pump prototype that enabled them to visualize the flow in all the impeller channels. Images, captured through a high-speed camera, revealed a unique flow pattern of oil drops dispersed in water. Processed with computer codes, the images indicated that the oil drops were, in general, spherical or elliptical, and only a few broke up in the impeller. The interaction with water caused the oil drops to rotate, deform, and deviate, thus moving in random paths. Size distributions suggested that the drops became smaller as the impeller rotation speed and water flow rate increased. This behavior was due to the turbulence-induced shear stress and kinetic energy. The oil drops’ equivalent diameters ranged from 0.1 to 6.0 mm; velocities took values measurable by units of m/s; accelerations reached hundreds of m/s2; and forces had magnitudes of thousandths of N.
Researchers observed a clear dependence between flow conditions and drop dynamics. Carried by the water flow, the oil drops on the suction blade moved faster than those on the pressure blade of a channel. The drop dynamics were significantly influenced by the presence of adverse pressure gradients and water velocity fields.